Last night I slept well. When I woke up this morning, I heard that you had been taken away. At that moment, my heart had great peace because I knew you had already prepared for this moment long ago. I haven’t been able to sleep tonight. I’m sure things are hard for you right now, too. So I’ll just accompany you in your sleeplessness. I want to tell you a few things in case you might see this. I heard that they usually bring you back to your home when they search it. I subconsciously hoped to use that opportunity to see you for a moment, but they still haven’t come. I’m not going to wait any longer. I’m not afraid of them at all. On the contrary, I pity them. I hope you do, too. I finally asked myself, “Aren’t you willing to experience this tiny little bit of pain for the Lord?” My conclusion was, “I’m willing.” I’m very willing, because I know that this slight, momentary affliction is not worth comparing to that eternal glory that is to come. I’m willing to foot that bill. So why am I crying? It might just be because I’m human. But you can completely relax. Crying is one thing. Finishing crying is another. I allow myself to cry, but I haven’t felt the least bit of despair. Even if I look for it, I can’t find any. Sometimes I want to despair for a moment and grieve a little bit, but I really don’t feel like it. So, forget about it. I think the Lord has replaced that despair with his fullness. The little ones miss you. I told them, “Missing daddy is normal. It would be strange not to miss him. If you miss him, then miss him.” Little Di then immediately said, “After we fall asleep, we won’t miss him anymore.” And then he immediately fell asleep. This afternoon I prayed with you according to our agreed upon time. Sorry, I was ten or so minutes late. Lastly, I want to say that knowing what I’m going to receive as a result of what I’m going through now makes me feel so much better. I really do thank our Father in Heaven. His plans are most certainly the best. They cannot be mistaken. So, what more is there to say? I will joyfully accept them. I love you! I’m going to bed now. 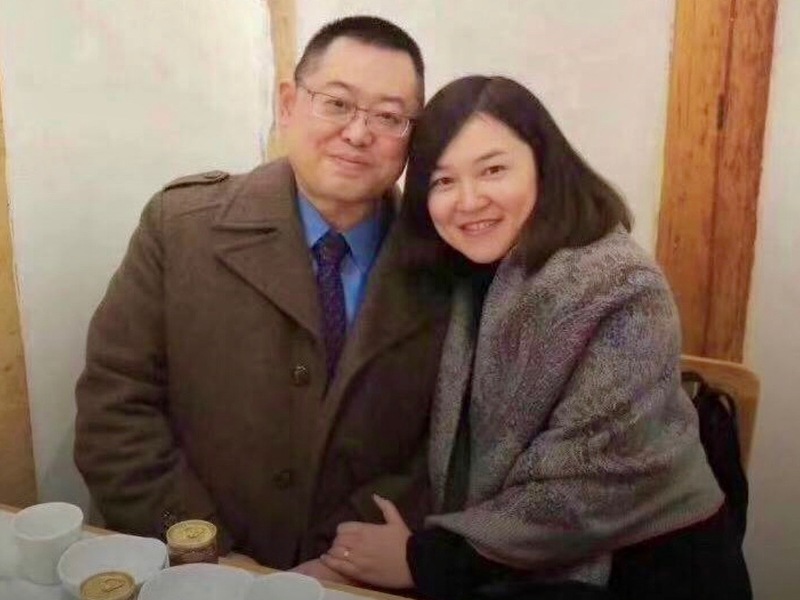 Editor’s note: Pastor Wang Yi and his wife Jiang Rong wrote this letter to Early Rain Covenant Church twelve days before they were arrested on December 9. 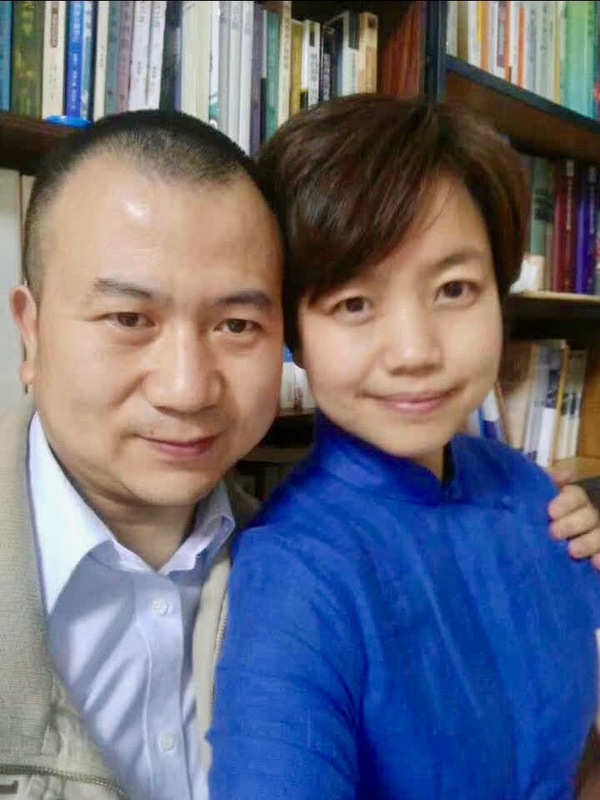 They are still in prison in secret locations on charges of “inciting to subvert state power.” Please pray and share. English translation provided by Jason, Ryan, and the China Partnership translation team. First, we shall leave everything behind to follow the Lord. If necessary, we shall even leave marriage out of the Holy of Holies, where we will face the living God alone and be faithful to the Lord. Second, we deserve all the shame and be treated as sinners; yet we have been saved by Jesus and delivered from the coming, eternal shame. He has endured all these and much more than we have. With such, we have been led by the Lord into deeper faith and joy this year. What we are most grateful for is that the Lord has led us through this year together with the church. We spent most days in persecution or rumors of persecution. Besides his published works, Wang Yi has also written other documents, including his testament and will. We two spent many evenings talking about the possibility of arrest and preparing for every situation. Even in the midst of our busy ministry in the church, we found time for just the two of us go on more dates than usual. These evenings and dates have led to our deeper union and sweeter love in the Lord. 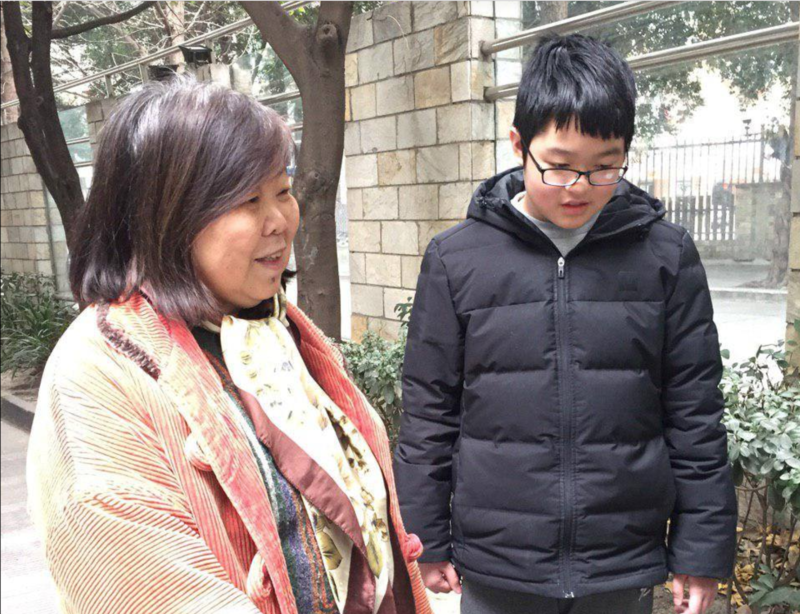 This year, Shuya (son) has grown taller than mom (Jiang Rong). One time Wang Yi left home wearing Shuya’s gym shoes by mistake. We were shocked and amazed that our children are growing up much faster than how we had imagined. During the second half of the year, he studied harder than he did in the first half of the year. He developed new interests and breakthroughs in his piano lessons, and he has given more attention to spiritual things. We are grateful for the prayers and guidance of his teachers, and for the Lord leading him to grow up with His church in a time such as these. We are earnestly praying that the signs of his salvation and regeneration will become more apparent soon. After her baptism, Ruolin (daughter) has also been growing and serving this year. She transferred her Muji sales internship to being an assistant in a designer firm, and she has gradually entered into a profession that she likes. Praise the Lord, who consecrated her from her first breath in the world and placed her under the influence of many elders and companions in Christ, so that she would long for deeper spiritual growth. If by the end of the year, God still has not allowed the government to take more severe action toward Wang Yi and Early Rain Covenant Church, Wang Yi will take two months of sabbatical after the congregational meeting in January 2019 and then a third month off in the second half of the year. This plan has been postponed for two years. If God is willing to put Wang Yi in prison for a prolonged sabbatical, we will also receive it as abundant grace. On May 28, Wang Yi and several co-workers were taken to Caojiaxiang police station for detention and beating. That afternoon he made a resolution before God that before he reaches the age of fifty-three (the age at which John Calvin passed away), he would devote the next ten years to a new gospel movement. If he is imprisoned, he will entrust everything to the Lord and start his personal prison ministry. If he is free, he will be even bolder in preaching and asks God to transform him into a preacher that will “turn the world upside down”. He also asked that if Lord willing, before he turns sixty-four (the age at which Martin Luther passed away), he would devote his next twenty years to this new gospel movement. He hopes to see the Lord Christ’s new revival within the Chinese church in the next twenty years, like the Shandong Revival from 1927 to 1937, when a group of preachers, faithful pastors and theologians would rise up. Wang Yi asked God to work through him for the next twenty years. After the age of sixty-four, he will be ready to go to his Heavenly Home any moment. May the Lord lead our family, that in our lifetime we will focus on the frontline between the gospel and culture, the church and the world, that we will face and die at the frontline of the gospel movement while entrusting everything behind us to the Almighty Lord. This year we have continued to experience much weakness and sorrow, especially for Jiang Rong. In the face of many slanders, attacks and opposition against Wang Yi and the Lord’s church, she had shed more tears for the state of the church than for the distress of persecution. Spiritually she has also been through a very long year. Yet the Lord’s comfort and power have always been with her. We are also grateful that the Lord has surrounded us with many co-workers who treat each other with sincerity, pastors and mentors who comfort and deal gently with us, and all the details of God’s grace and blessings. Due to the restriction on his travel, he cut his ministry outside the city. But this year our church founded the Covenant Mission and hosted two preaching conferences in city A and city B. Next year Wang Yi plans to cut his work in lecturing and devote more time to domestic revival preaching. As long as God allows him to be free to move around, may the Lord use up this freedom until we no longer have this freedom. This year Wang Yi has tried several social media platforms, including a WeChat Official Account and Jianshu. Almost all of them have been shut down over ten times. So far, besides publication on the church platforms, he has almost no personal publishing platforms except one ZINE account that he used to publish hymns. Since 2004 when he started the “Wang Yi’s Microphone,” there is now only a WordPress version of the “Wang Yi’s Microphone” account that requires readers to get around the firewall to access. This year, three of Wang Yi’s books were published: God’s Power and State Power: A Dialogue about Chinese House Church, Mobilization of The Souls: Devotional Letters from The Shepherding Field, and The Shorter Catechism (poems), with one more (A Union of Angels: The Survivor’s Guide for City Church Planters) still in process. Wang Yi plans to spend the sabbatical next year to finish editing and revising a collection of sermons and Rise Up: Ten Lectures on Chinese House Church History, and to make preparations for writing The Triumphant Return: Ten Lectures on Political Theology. Praise the Lord that you are walking on the earth with our family. What we long for the most is to see and commit ourselves to the gospel movement of Christ’s church in China over the next twenty years. We want to place ourselves in the middle of the lasting conflict between the gospel and the Chinese culture, and personally witness the spiritual warfare between Christ and Pharaoh. We pray that the Lord will, according to His own will, propel and send us to move forward continuously and steadily until the day of the Lord’s victory. Editor’s note: In October 2018, Jemar Tisby gave the Covenant College (PCA) Reformation Day chapel lectures. In response, on November 7, 2018, PCA pastor Andy Wilson published an online article titled, “Dear Covenant College Students: Jesus Can Set You Free from the Yoke of Being Woke.” In it, Wilson disagrees strongly with Tisby’s lectures, accusing him of presenting an unbiblical view of a justice-oriented Church that promotes a works-based legalism that is beyond the Gospel forged in the Reformation. Article summary: In this article, the students present a biblical case against what they consider to be Wilson’s narrow view of justice as merely “equal treatment under the law,” drawn from Kevin DeYoung and Greg Gilbert’s position in their book “What is the Mission of the Church?” The students present biblical and social evidence for the necessity of a justice-oriented Church from within their PCA college’s Reformed doctrinal standards and confessional commitment. And they argue that biblical justice includes not only “equal treatment under the law” but also obeying Jesus’ command to “love our neighbors as ourselves” so believers are the “sweet aroma of Christ” in all places and to all people–especially the poor and marginalized. As students of Covenant College, we wish to offer a humble response to your recent article, “Dear Covenant College Students: Jesus Can Set You Free from the Yoke of Being Woke.” We present our own views in this letter, not the views of the College, nor of all our peers. We hope that this reply helps inform your perspective on the condition of academic and theological debate at Covenant. We further hope that our response will be a productive contribution to the broader dialogue that has surrounded Jemar Tisby’s recent Reformation Day lectures on our campus. For the record, we do not agree with all of Mr. Tisby’s assertions. Students at Covenant are critical consumers of information—we are more than willing to question controversial or debatable assertions made by chapel speakers. His lectures sparked lively discussions on campus regarding several of the issues which you address in your article, including his creative rephrasing of Scripture, his stance on the centrality of activism, and his views on universal healthcare. However, we aren’t threatened by Mr. Tisby rightly pushing us to recognize weaknesses within our own Reformed tradition. As spiritual heirs of the Protestant Reformers, we do not assume that our theology has arrived at its terminus. In light of our cultural blind spots, we need to keep reforming our tradition in light of Scripture (sola scriptura!). Thankfully, God has given us the Body of Christ with many members from different ethnic and cultural backgrounds. It is vitally important for our tradition to listen to those voices when they tell us we are falling short in significant ways. In 1973, O. Palmer Robertson delivered an address to the first General Assembly of the PCA. In that address, he affirmed that, “The Continuing [Presbyterian] Church commits itself to ‘the faith’ as it affects the totality of man’s existence … it searches out the implications of Scripture for the totality of human life.” We believe that this commitment, drawn from the genesis of the PCA’s doctrinal foundations, has significant implications for the modern discussion of race and ethnicity within the church, and we call for interpretation of Mr. Tisby’s lectures in this light. Justice, as you have defined it from Kevin DeYoung and Greg Gilbert’s What is the Mission of the Church?, is “equal treatment under the law.” While this is a component of justice as laid out in the Scriptures, Christ takes us a step further. His explicit call to love our neighbor as ourselves, through our actions, thoughts, attitudes, and judgments, is a call to live justly (Matt 22:39). In Deuteronomy 10:18, “He executes justice for the fatherless and the widow, and loves the sojourner, giving him food and clothing.” Doing justice, then, entails action that goes beyond creating a fair legal playing field. Feeding the hungry, clothing the naked, ministering to the sick, and welcoming strangers are acts of mercy that must be involved in the administration of justice (Matt 25:35-39). By failing to welcome in and pray alongside our black brothers and sisters in Christ, the North American church—and more specifically, the PCA—failed to enact justice. We committed corporate sin by failing to love our neighbors as ourselves. In some evangelical circles, talk of “corporate sin” is controversial. Properly understood, we don’t think it should be. The Reformed theological tradition contains robust support for the notions of corporate sin and repentance, beginning from the earliest pages of Scripture. The Fall affected the totality of human existence. With the sin of Adam and Eve, all subsequent generations sinned as well; individual sin impacted and continues to impact the body of Christ as a whole (WSC Q.16). While the doctrines of the fall and original sin are clearly a special case, they suggest that a corporate understanding of sin is woven into the biblical way of thinking. In the questions regarding the Lord’s Prayer, the Westminster Larger Catechism notes that “we pray for ourselves and others” for the remission of sin—such prayers would include the sins of people and their institutions from earlier generations (WLC Q.194). Thus, there is strong evidence throughout all our doctrinal heritage for collective, corporate sin and repentance (along these lines, see Sean Michael Lucas, For a Continuing Church: The Roots of the Presbyterian Church in America [P&R, 2015]). The 30th General Assembly in 2002 addressed the need for the PCA to repent of racist elements of its past: “We therefore confess our involvement in these sins. As a people, both we and our fathers, have failed to keep the commandments, the statutes, and the laws God has commanded. We therefore publically repent of our pride, our complacency, and our complicity.” This was followed in 2004 by an extensive Pastoral Letter, “The Gospel and Race,” adopted by the 32nd General Assembly. The 44th General Assembly’s 2016 lament for the collective sin of racism “does recognize, confess, and condemn these past and continuing racial sins and failure to love brothers and sisters from minority cultures in accordance with what the Gospel requires; and be it further resolved, that this General Assembly praises and recommits itself to the Gospel task of racial reconciliation.” We gather that this 2016 denominational decision was contested at the time; nevertheless, through these formal actions, the PCA has affirmed collective responsibility for racist sin, and for the PCA’s past role in perpetuating injustice. Individual repentance for individual transgression is called for throughout the Bible, but this is not the only sort of repentance with biblical grounding. Throughout the Bible, the entire people of God are treated as an entity that can be called to corporate repentance. All of Israel, in Amos 5, is condemned for their oppression of the poor and for turning their backs on the responsibility to carry out justice. Ezra prayed as an individual for the collective and historical sins of Israel (see Ezra 9 and 10). The prophet Jeremiah exhorts the Israelites to repent of their own individual sins and the sins of their ancestors (Jer 3:25; 14:20); in Isaiah, the Lord chastises the people for “both your iniquities and your fathers’ iniquities together” (Isa 65:7). In a similar vein, we should not forget Daniel’s heartfelt prayer in Dan 9:1-19. In the New Testament, as Stephen is condemned in Acts 7, he traces the sins of the Jewish leaders all the way back to the sins of Israelites who went before them—the effects of collective sin can span millennia. The body of Christ today should confess its collective failure to bring justice to those oppressed through the sin of racism. An individualistic view of salvation is devoid of the important contributions of kingdom and resurrection theology—cornerstones of the Reformed tradition. The resurrected King Jesus, the righteous king who renders justice to the oppressed (Psalm 72), is reconciling all things to himself (Col 1:19-20). This redemption is cosmic. Christ will stand as preeminent Lord over all creation, with the Church as the primary instrument for the advancement of his Kingdom. The Gospel’s power is far broader than individual salvation—it’s about renewing creation to be the temple of God’s dwelling that it was always meant to be. Many lay believers forget that much of the goodness we take for granted in our governmental structures, marriage, education, medicine, business, scholarship, and the like, is directly related to past Christians proclaiming God’s kingdom far and wide. Hospitals, for instance, are the legacy of gospel-centered Christian stewardship (e.g., see Charles Rosenberg, The Care of Strangers: The Rise of America’s Hospital System; and for earlier Christian influence, see Gary Ferngren, Medicine and Healthcare in Early Christianity). Wilberforce and other evangelical abolitionists labored tirelessly to make the English slave trade illegal. American checks-and-balances style government had its inspiration from the Presbyterian understanding of total depravity. Literacy and liberal democracies grow in a more robust fashion in countries around the world which received proselytizing Protestant missionaries (e.g., see the Christianity Today article by Andrea Palpant Dilley, “The Surprising Discovery About Those Colonialist, Proselytizing Missionaries”). The renewal of the gospel is not limited to personal salvation, but extends into all creational structures. We have noted already that much of the discussion within the PCA turns on how we define justice. 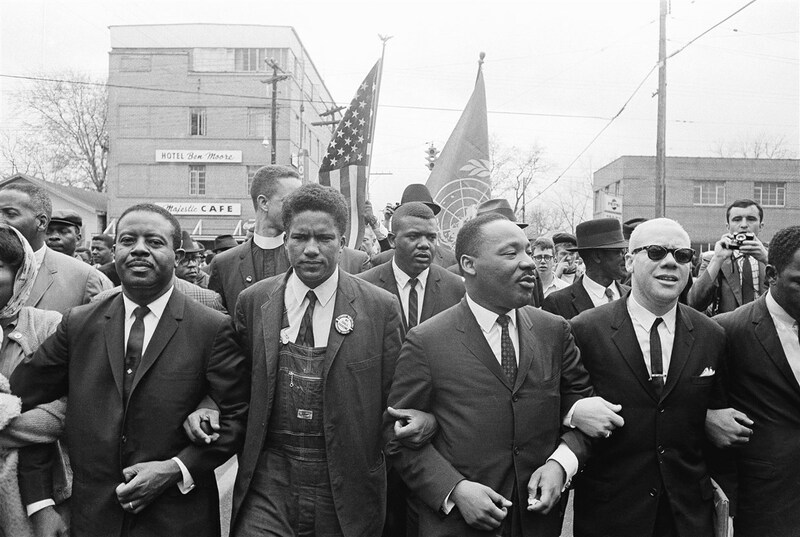 In your understanding, justice is “not about equality of outcome, but about equal treatment under the law,” and you assert that in America today, “people of all races do receive equal treatment under the law.” Even accepting this definition of justice, modern “equality under the law” is not a factually supportable claim. The racist attitudes of the past, which you are right to decry, have cast a long shadow. In his 1978 book Micromotives and Macrobehavior, Nobel Prize-winning economist Thomas Schelling found that if a population has been segregated, segregation will continue unabated even in the absence of discriminatory laws. Accomplished justice requires a new behavioral impetus, not mere deletion of the old. 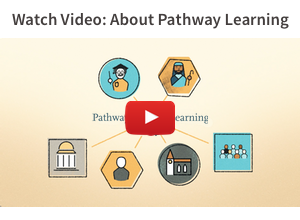 Discriminatory structures are still present in America today. A brief perusal of national headlines provides ample evidence, as does widespread academic documentation and research. As one example, in May of 2018 the Vera Justice Institute published an evidence brief titled “An Unjust Burden,” which found statistical evidence to support the conclusion that past structural racism has placed minorities at a present disadvantage in America. Even beyond this source, we have little reason to believe that implicitly racist attitudes have disappeared from our country. Substantial research has shown that mild biases of individuals are capable of producing a broadly unjust system—systems are products of the sinful people who inhabit them, not creations of neutral written codes. Your article assumes an individualistic, meritocratic interpretation of modern American social structures. This attitude has never been broadly accepted outside of Western cultural contexts. Research indicates that white Americans have always been more likely to believe in general social fairness than members of any minority. This difference in perception should alert us that we may be missing important information which is obvious to our nonwhite brothers and sisters. Indeed this is precisely what some of our nonwhite brothers and sisters are presently trying to tell us. In America today, mortgage loan research indicates that people with “black” sounding names typically need to have a credit score that is 71 points higher just to receive the same response rate as identically situated whites. In emergency situations, whites call for help if the victim is white 75% of time and only 38% of the time if the victim is black. White-sounding names get job interviews at a 50% higher rate than ethnic-sounding names even when the resumes are comparable. Black people are far more likely to be incarcerated than white people charged with the same crimes. Juries are more likely to find blacks guilty, compared to similar white offenders. These are but a very, very few undisputed facts, and they are not representative of a fundamentally fair, fundamentally post-racial system. You object to the notion that Christians ought to do penance for social ills they haven’t directly caused, or for implicit racism. Since we are free from guilt and sin in Christ, we shouldn’t feel obligated to work out our repentance through acts of social justice. Calling such an obligation a manmade yoke, you call us to cast aside this burden and instead take up the easy yoke of Christ. We wholeheartedly agree with the picture of grace presented by your argument and join you in gratefulness for Christ’s lifting of every heavy burden. Nonetheless, we believe that the notion of “Christ’s yoke” doesimply action. To assume that there are not difficult tasks involved in the Christian life verges on cheap grace. While it is true that we are saved by grace through faith, not by works (Eph 2:8-9), the apostle Paul goes on to say in the very next verse, “For we are his workmanship, created in Christ Jesus for good works, which God prepared beforehand, that we should walk in them.” Jesus Himself specifically says that he will commend us or condemn us at the Judgment based on our works (Matt 25:31-46). As you said at the end of your article, “living under Christ’s yoke includes the call to strive, as best as you can, to extend comfort to those who are distressed, to defend those who are vulnerable, and to further the outward estate of others.” Our motivation is not penance; it’s to follow God’s call to be doers and not merely hearers of the Word (James 1:27). Although your article claims that Mr. Tisby wants to make Christians feel guilty, at the end of his final lecture, Tisby also affirmed the danger of guilt. He distinguished a self-centered guilt from what he calls “Godly grief.” The former seeks resolution so that the sufferer may feel better about his or her own character; instead Godly grief appropriately recognizes injustice against our brothers and sisters and seeks resolution, not out of a desire for catharsis, but out of a desire to comfort the hurting. To ignore such feelings of sorrow would be a sin of omission (James 4:17). You also rightly condemn a wide range of racist attitudes, but fail to acknowledge that not actively opposing racial injustice allows an unjust system to persist. If we are to comfort the hurting and champion the vulnerable, then we are necessarily at odds with any systemic problems that put them in that position. We write to you neither as apologists for Jemar Tisby, nor as enemies of your view. Instead, we wish to encourage you to consider the broad doctrinal and social evidence for the necessity of a justice-oriented Church. We proclaim this stance from within the doctrinal standards and confessional commitments of the PCA itself. We share your conviction that Jesus frees us from the burden of guilt and every burden imposed upon us by the world. At the same time, we are excited to be the sweet aroma of Christ in all places and to all people. Jesus frees us from paralyzing guilt to something far better, something that is much closer to what Reformation Day is all about: to love the Lord our God with all our heart, soul, and mind, and to love our neighbors as ourselves. For our sources, see Jillian Olinger and Kelly Capatosto, “Chipping Away at Implicit Bias,” Aug 23, 2017, available at: http://kirwaninstitute.osu.edu/chipping-away-at-implicit-bias/; Jonathan Kunstman and Ashby Plant, “Racing to Help: Racial Bias in High Emergency Helping Situations,” Journal of Personality and Social Psychology 96.6 (2008): 1499-1510; Marianne Bertrand and Sendhil Mullainathan, “Are Emily and Greg More Employable than Lakisha and Jamal? A Field Experiment on Labor Market Discrimination,” American Economic Review 94 (2004): 991-1113.